Hinds County Human Resource Agency’s (HCHRA) leadership includes a highly-qualified team of senior administrators and directors with more than 200 years of professional experience. Areas of expertise includes human resources; board and office administration; social work; counseling; psychology; accounting; purchasing and procurement; public relations; and marketing. Because HCHRA is an agency with multiple programs that address a variety of community needs, it is crucial that the leadership not only has significant experience but also a strong knowledge base. This mission-driven and caring group of professionals dedicates themselves to the Hinds County Mississippi community and re-commits each year to improve upon the previous year’s efforts. Hinds County Human Resource Agency assisted thousands of individuals who struggled to free themselves from the grip of poverty. To accommodate the ever-increasing needs, HCHRA employs approximately 400 staffers. While the CEO has general oversight, the Agency’s senior staff composed of administrators and directors manage day-to-day departmental operations. Motivated by the Agency’s mission of Helping Families and Strengthening Communities and guided by Board policy, this group of professionals is well-equipped with more than 200 years of professional experience, various certifications, and educational credentials to get the job done. David Knight is the Executive Vice President & Chief Operating Officer for Hinds County Human Resource Agency. He received his Bachelor of Science in Social Work in August 2004 from the University of Mississippi. From there, David has completed over 300 hours of direct sales, leadership and marketing training; has over 150 hours of training in the Certified Community Action Management Program and is a nationally certified Results Oriented Management & Accountability (ROMA) Master Trainer in which he trains community action agencies all over the United States. He was elected and has served as the Vice President of the National Certified ROMA Trainers Board of Directors since 2014. He also holds a certificate in Public Management and Leadership from the Institute of Government at Jackson State University. David’s experience includes fourteen years of non-profit management including ten years in Community Action & Head Start management. He also has experience in the private for profit sector in multiple leadership and sales roles. He began his career in community action in Pikeville, KY, as a business service representative under the WIA (Workforce Investment Act), then a special projects coordinator in the American Recovery and Re-investment Act, and then to Community Services Director under the Community Services Block Grant. At the age of 29, David became the youngest executive director in Arkansas state history as he was the Executive Director for Pine Bluff Jefferson County EOC. David first came to HCHRA as the Vice President Planning & Development. 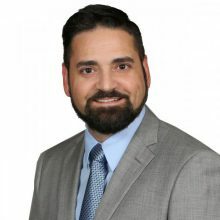 David then worked with the National Association for Community Services Programs out of Washington, D.C. as the Community Services Director for the entire US before returning to HCHRA in his current role. 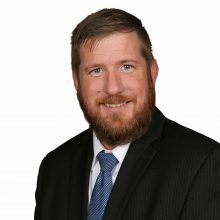 He enjoys his time in multiple outdoor activities and focuses his passion on further developing self-sustaining communities and as an entrepreneur into small businesses. Kathleen Williams-McGriggs joined HCHRA in 1999, and serves as the Senior Vice President of Administrative and Board Services. She attended Hinds Community College and graduated from Phillips College and Regent University. She earned a bachelor’s degree in Business with a concentration in Administration. She has a legal background in Court Reporting and Court Administration with the Fifth Circuit Court, and acquired legal experience with several local law firms. Kathleen has more than 35 years of executive leadership experience with Mississippi non-profit organizations, and is a Notary Public, a licensed Real Estate Agent, and a graduate of Leadership Greater Jackson. Kathleen enjoys public speaking, giving back to her community, spending time with family and friends, traveling, and reading. She serves as an advocate for underprivileged children and families through her passion for fairness and equality. Her leisure time is spent volunteering with her local church and other organizations that benefit those in need. Al Junior is a graduate of Morehouse College and Atlanta University where he obtained his Bachelors of Art (BA) and Masters in Business Administration (MBA) respectively. Mr. Junior has been with HCHRA since 1976, starting as Fiscal Officer. Prior to employment with HCHRA, Mr. Junior shared his talents with institutions of Higher Learning such as Tuskegee Institute (University), Jackson State College (University), and Tougaloo College. Roger Lutrell is the Vice President of Planning and Development for Hinds County Human Resource Agency. He earned a Business Degree from Southeast Arkansas College and a Finance degree from the University of Arkansas, Pine Bluff. He also carries certifications in both Management and Accounting. Roger brings with him over fifteen years of experience, including five years as a Chief Financial Officer and three years as an Executive Director/CEO for a Community Action Agency in Arkansas. He served as Treasurer of the Arkansas Community Action Agency’s Association Board of Directors 2015-2016. It isn’t hard to see his passion and drive for business development and process management. Roger believes that a successful business model ensures that its mission, programs, products and services are consistently presented in a strong positive image to its stakeholders, as internal operations drives innovation and inspires creativity. Before Community Action, he spent several years traveling the United States in the for profit arena, and accredits much of his success to the diverse cultural perspectives that he encountered along the way. Harry Lane attended Southern Illinois University & Jackson State University. 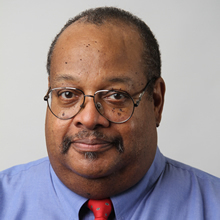 At SIU, he majored in Marketing, minored in Finance & Black American Studies. He served as Vice President of Pi Sigma Epsilon: a professional fraternity in marketing, sales management, & selling. 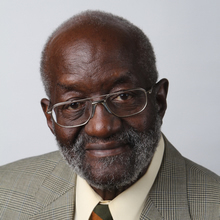 At JSU, he took additional courses in economics, political science, & property management. He was a GRI: (Graduate Realtors Institute). Harry has been with HCHRA since December 1979, He has served in several positions: from Asst. Energy Coordinator, Energy Coordinator, Accountant, Director of Neighborhood Service Centers (DCP), Property Officer, Property Officer/Building Manager to his current position. He is a former licensed Real Estate Agent & former Licensed Social Worker. He is currently a member of the Mississippi Association of Governmental Purchasing and Property Agents. This quote is a direct correlation to Shiandra purpose and passion for helping children and families who are in need. She started her journey in the Human Services industry in 2009 as the Weatherization Assistant Manager. She has worked in several Community Action Agencies with an ultimate goal of reducing poverty in its community. 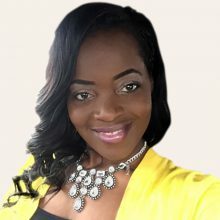 Currently, she is a Nationally Certified ROMA Trainer candidate working as the Vice President for the Department of Family Opportunities at Hinds County Human Resource Agency (HCHRA). Shiandra joined HCHRA in January 2017 as the Management Information Officer. 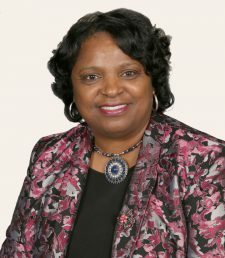 Her educational background includes a Bachelor of Science degree in Computer Science from University of Arkansas at Pine Bluff and Master of Business Administration from Webster University. During her leisure time, she enjoys spending family time with her two children, Kadence and Aiden.